Andhra Pradesh or A.P in short is an eastern coastal state of India bordering Karnataka and Tamil Nadu. 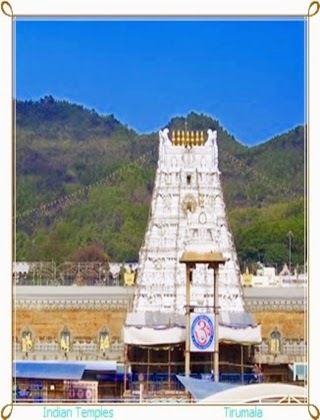 Andhra Pradesh boasts rich natural and culturally diverse of tourist attractions. The official language of A.P is Telugu. Other languages often spoken in this state are Urdu, Hindi, English, Tamil, Kannada and Oriya. Some of the best tourist attractions of Andhra Pradesh includes: Sanghi Temple, Mahanandi Temple, Tirumala Venkateswara Swamy Temple, Ramoji Film City, Srisailam Temple, Ramakrishna Beach, Lepakshi Temple, Vizianagaram Fort, Ameen Peer Dargah, Sri Kalahasti temple, Devuni Kadapa, Gandikota Fort, Nandalur Temple, Vontimitta Temple, Chilkur Balaji Temple, Kotipalli Temple, Durgam Cheruvu, Keesaragutta Temple and Suryalanka Beach. Arunachal Pradesh is a northeastern state of India and is often called as 'The Land of the Dawnlit Mountains' in Sanskrit which means the land of raising sun. Main languages spoken in this state are Nishi, Hindi, Adi Gallong, Dafla, Wancho, Mishri, Deori and English. Arunachal Pradesh has many awe-inspiring Hindu and Buddhist temples like Parasuram Kund, Urgelling Monastery, Malinithan, Bomdila Monastery, Tawang Monastery and Akashiganga. Arunachal Pradesh has Nagaland and Assam as its borders. Some of the popular tourist attractions in Assam includes: Mahabhairav Temple, Da Parbatia, Bhairabi Temple, Ketakeshwar Dewal in Tezpur, Lankeshwar Temple, Uma Nanda Temple, Sukreswar Temple, Navagraha Temple, Basistha Temple and Rudreswar Temple in Guwahati. Bihar is the 12th largest state in Northern India. 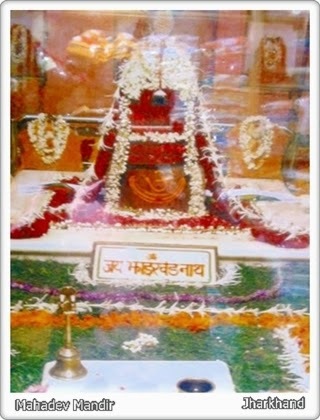 For many years, Bihar is the origin for both Buddhism and Jainism. Bihar has shared its border with Uttar Pradesh, Nepal, West Bengal and Jharkhand. Patna is the capital city of the state. Most of the population in Bihar spoke Bhojpuri, Maithili, Hindi, Urdu and Magahi. Some of the popular temples in Bihar includes: Bodhi Temple, Peace Pagoda, Buddhist Stupa I and II, Ratnagar Temple, Maha Bodhi Temple, etc. 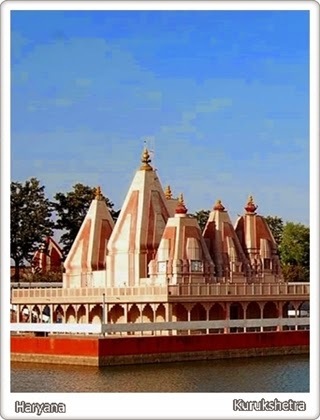 Some of the popular tourist attractions in Chhattisgarh includes Maa Pitambara (Bagalamukhi) Temple in Amleshwar, Mahamaya Temple in Bilaspur, Lakshman temple in Sirpur, Danteshwari Temple in Dantewada, Bhoramdeo Temple in Kawardha and Bambleshwari Temple in Dongargarh. Delhi, the National capital city of India is dotted with many famous Hindu temples, mesmerizing mosques, ancient churches, etc. Delhi is the second largest in the world in terms of urban spread population, next to Tokyo (According to 2011 report). 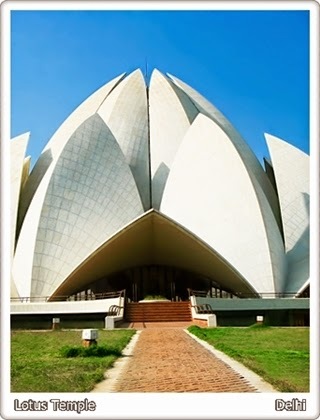 Some of the popular tourist attractions and temples in Delhi are: Sri Digambar Jain Lal Mandir, Lotus Temple, Birla Mandir (Laxmi Narayan Temple), Akshardham Temple, Chhattarpur Mandir, ISKCON Temple Delhi and Gurudwara Bangla Sahib. Popularly known as Jewel of the West, Gujarat is a North Western state of India. The people of Gujarat are friendly and generous. 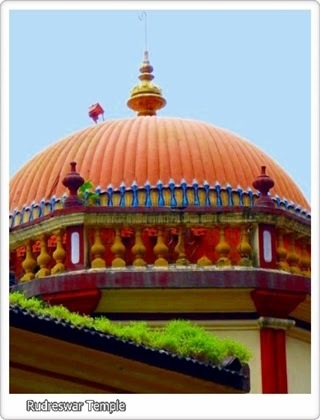 Gujarati is the language spoken in this state and is best known for historical tourist attractions. The state has some of the best historical places like Uthelia, Gondal, Chhota Udepur, Wankaner and Bhavnagar. Situated in Northern part of India, Jammu&Kashmir is situated mostly in the Himalayan mountains. Jammu and Kashmir share their border with Punjab and Himachal Pradesh. 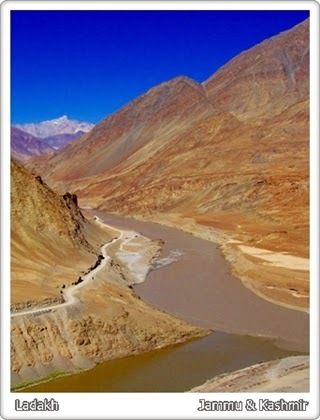 The state consists of 3 region: Jammu, Kashmir valley and Ladakh. The state is famous for many valleys including the famous Kashmir Valley, Chenab Valley and Lidder Valley. Some of the best tourist attractions in Jammu and Kashmir include Shalimar Bagh Garden, the Amar Mahal, Leh, the Mansar Lake, Srinagar, Vaishno Devi Temple, Nishaat Bagh, Gulmarg, Sonamarg, the Bahu Fort, and Pahalgam. Jharkhand (The Land of Forests) is an Eastern State in India and shares its border with Odisha, Chhattisgarh, Bihar, West Bengal and Uttar Pradesh. 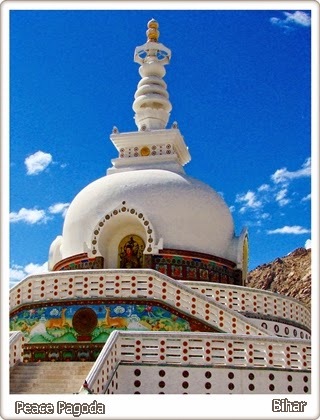 Stunning hills and forests, museums, popular wildlife sanctuaries and divine shrines, etc. widely contribute to the growth of tourism in Jharkhand. Moti Jharna Fall, Baidnath Temple, Mahadev Mandir, Ranchi Hills, Baidyanath Dham, Rajrappa Temple, Sun Temple, Daasam Falls are some of the prime tourist attractions in Jharkhand state. Haryana is a Northern state in India studded with impressive ancient monuments, lush greenery gardens and historic temples. Haryana is a great cultural heritage state which shares its border with Rajasthan, Punjab and Himachal Pradesh. Some of the best tourist attraction places in Haryana includes: Dumdama Lake, Badhkal Lake, Kurukshetra, Yadavindra Gardens, Sultanpur bird sanctuary, Morni hills, Panchkula, Brahma Sarovar and Sannihit Sarovar. Himachal Pradesh is a northern mountainous state in India best known in the world for its abundant natural beauty. The state shares its border with Punjab, Uttarakhand, Jammu and Kashmir and Haryana. Tourism plays a major role in boosting the state economy and the state attracts tourists from all corners of the globe for performing adventure activities like Rafting, skating, Paragliding, trekking, Boating, Skiing, horse riding and fishing. 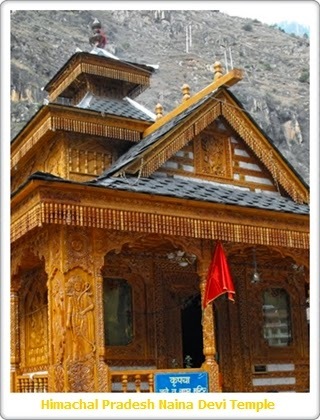 Some popular tourist places in Himachal Pradesh includes Dharamsala and MacLeod Ganj, Renukaji Temple, Naina Devi Temple, Rajgarh valley, Great Himalayan National Park, Jawalamukhi Temple, Manali, Mata Chintpurni and Chamunda Devi, Bijli Mahadev temple and Shimla. Karnataka is a very popular state in Southern India widely known for its booming software industry and for emerging biotechnology. Karnataka share its border with Andhra Pradesh, Maharashtra, Laccadive Sea and the Arabian Sea, Tamil Nadu, Telangana and Kerala. 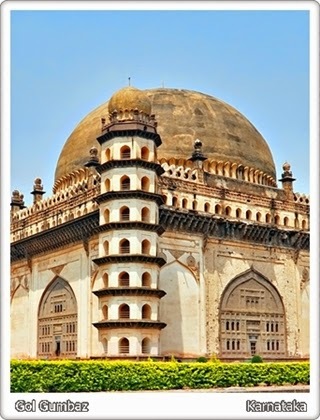 Popular places visited by many Indian tourists in Karnataka includes Gol Gumbaz at Bijapur, Keshava Temple in Somanathapura, Mysore Palace at Mysore, Udupi Sri Krishna Matha, Kukke Subramanya Temple, Shringeri Sharadamba Temple, Shravanabelagola, Mysore Zoo, Brindavan Gardens, Chamundeshwari Temple, Hampi, Chennakesava temple at Belur and Bandipur National Park. Kerala or Keralam is a south-west state in India bordering Tamil Nadu, Karnataka and Lakshadweep Sea. Malayalam is the official language of Kerala. 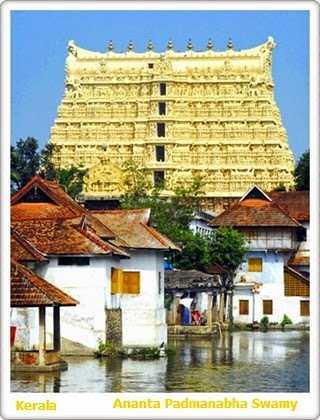 Kerala is one of the most popular tourist destination in India best known for its wide culture and traditions. Kerala has diverse tourist attractions and most popular ones among them include: Thekkady, Cochin Fort, Mattancherry Palace, Anantha Padmanabha Swamy Temple, Munnar Hills, Tata Tea Museum, Eravikulam National Park, Chinnar Wild Life Sanctuary, Kodanad Elephant Sanctuary, Mannarasala Sri Nagaraja Temple and Thiruvananthapuram. 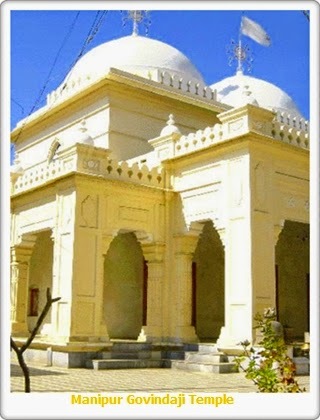 Madhya Pradesh (Heart of India) is the second largest state in central India. Bhopal is its capital city and it shares its border with Chhattisgarh, Gujarat, Uttar Pradesh, Rajasthan and Maharashtra. 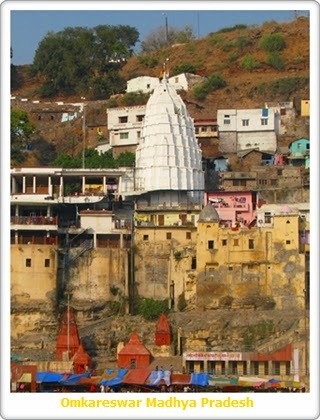 Madhya Pradesh is best known for monuments, palaces and forts, National Parks. Some of the most visited tourist spots in Madhya Pradesh comprises of Bandhavgarh National Park, Laxman Temple, Sanchi, Dulhadeo Temple in Khajuraho, Omkareshwar, Kanha National Park, Madan Palace, Ujjain, Gwalior and Mrignayani Palace. Maharashtra is a western state in India bordering Arabian Sea, Chhattisgarh, Telangana, Karnataka, Madhya Pradesh, Gujarat, Goa, Union territory of Dadra and Nagar Haveli. Marathi is the official language of Maharashtra. It is he third largest state in India with long beaches, attractive caves, hill stations, popular temples and holy places. 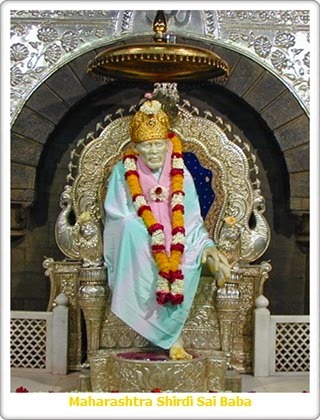 Some of the best tourist places worthy of a visit in Maharashtra are Mumba Devi Temple, Shirdi Sai Baba Temple, Ajanta Caves, Gateway of India, Elephanta Caves, Trimbakeshwar Temple, Mahalaxmi Temple in Mumbai, Ghrishneshwar Temple and Kanheri Caves. Manipur is the state with rich history and glorious culture. Manipur tourism is raising day by day. Manipur State Museum, Manipur Zoological Garden, Langthabal, Keibul Lamjao National Park and Govindajee Temple are some of the prominent tourist places in Manipur. 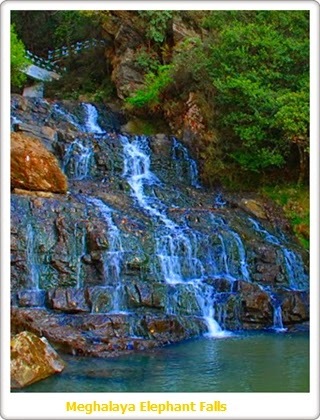 Meghalaya is a northeastern state in India. The widely spoken and official language of this state is English. Meghalaya share its border with Bangladesh and Assam. Most visited tourist attractions in Meghalaya includes: Shillong Peak, Mahadev Khola Dham, Umiam Lake, Matri Mandir, Lady Hydari Park, Elephanta Falls, Sri Ramakrishna Temple and Balpakram National Park. 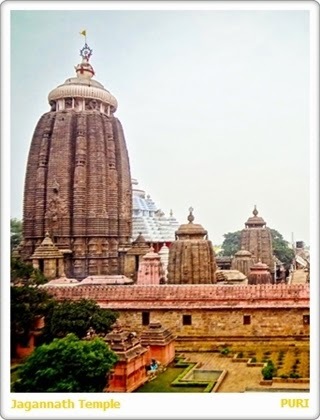 Odisha (formerly known as Orissa) is an Eastern state in India. The state shares its border with Andhra Pradesh, Jharkhand, West Bengal and Chhattisgarh. Odia or Oriya is the official language spoken in Odisha. Bhubaneswar, the capital city of Odisha is home to thousands of ancient temples. Jagnnath Temple in Puri, Rajarani Temple, Lingraj Temple, Konark Sun Temple, Parasurameswar Temple, Mukteswar Temple, Vaital Deul Temple’s and Nandankanan Zoological Park are some of the best tourist attractions in Odisha. Punjab or Panjab (Land of Five Rivers) is a northwestern state in India. The state shares its border with Haryana, Rajasthan, Jammu and Kashmir, Himachal Pradesh as well as the Pakistani province of Punjab. 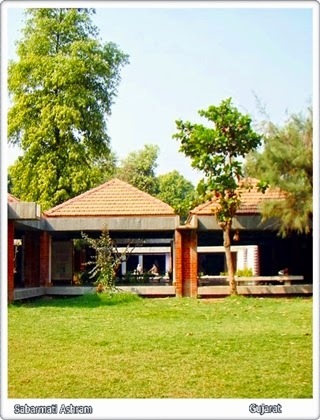 Chandigarh is the capital city of Punjab. Punjabi is the official language of the state. Some of the best visited tourist locations in Punjab comprises of Harmandir Sahib (Golden Temple), Kali Devi Temple in Patiala, Swetamber Jain Temple, the age old famous fort of Bathinda, Ram Tirth and Durgiana Mandir in Amritsar and Shahpurkandi fort temples. 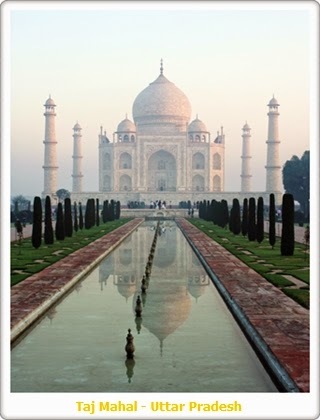 Rajasthan (Land of Kingdoms or Land of Kings) is a northwest state in India. Rajasthan is the largest state in India and it shares its border with Gujarat, Pakistan along the Sutlej-Indus river valley, Uttar Pradesh, Punjab, Madhya Pradesh and Haryana. 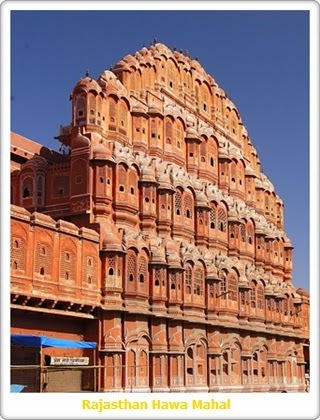 Jaipur (Pink City) is the capital city of Rajasthan. Bharatpur Fort, Pichhola Lake, Junagarh, Hawa Mahal, Fateh Sagar, Bundi Fort, Chhatra Mahal, Nahargarh Fort, Jodhpur Fort, Dilwada Jain Temple, Jantar Mantar, World Trade Park and Deeg Palace are some of the most visited tourist attractions in Rajasthan. 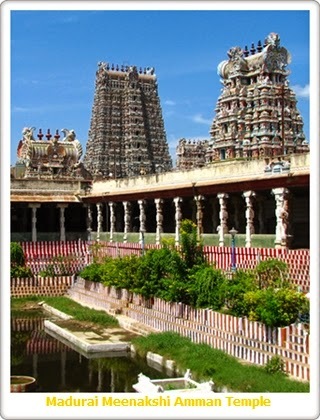 Tamil Nadu is a southern state in India and is the 6th most populous state in the country. Chennai is its capital city and the state has an abundance of rich natural resources. Visitors can enjoy a great beach vacation at Marina Beach, Rameshwaram beach and Kanyakumari beach. Some of the best visited tourist attractions in Tamil Nadu includes: Mahabalipuram, Kanyakumari, Madurai Meenakshi Amman Temple, Kodaikanal, Ooty (Ootacamund), Vellore - the fort city, Kamakshi Amman Temple in Kancheepuram, Perur Pateeswarar Temple in Coimbatore and famous temples around Tirunelveli. 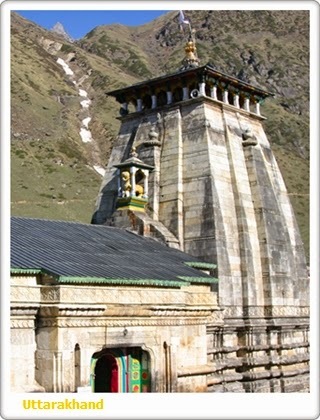 Uttarakhand is a paradise on earth for various adventure activities and home to Himalayas. With many pilgrim cities, deep valleys, forests and plenty of trekking options, Uttarakhand is one of the best tourist destination in India. 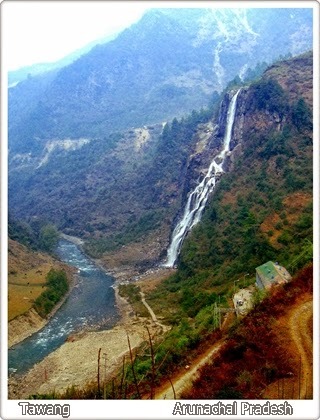 The state is formerly known as Uttaranchal. Uttrakhand is an ideal spot for various sport activities like Trekking, Boating, Skating, Mountaineering, Skiing, Rafting, Paragliding and Hand Gliding. 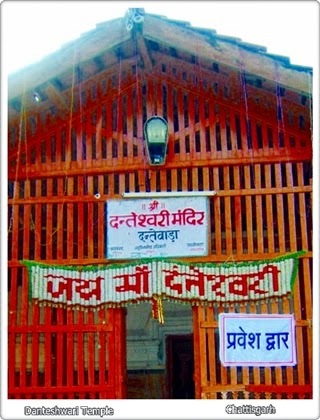 Hindi is the official language spoken in Uttarakhand. Some of the most visited tourist places in Uttarakhand are Badrinath, Gangotri, Yamunotri, Kedarnath, Nainital, Hemkund Sahib, Mussoorie, Panch Prayag, Rishikesh, Haridwar and Auli. Uttar Pradesh, a northern Indian state is gifted with vast rich culture and historic charms offering a holistic tourism experience to all the visitors. Many tourists from all corners of the globe visit the Agra city in Uttar Pradesh to get a splendid glimpse of a magnificent and aesthetic beautiful structure in white marble, the Taj Mahal. Two prime rivers of the country- Ganga and Yamuna flow through this state. Taj Mahal, Fatehpur Sikri, Sangam at Prayag, Jhansi, Piprahwa, Shravasti, Agra Fort, Ghats, Sarnath, forts at Allahabad, Bithoor and Kaushambi are some of the popular tourist places of Uttar Pradesh. 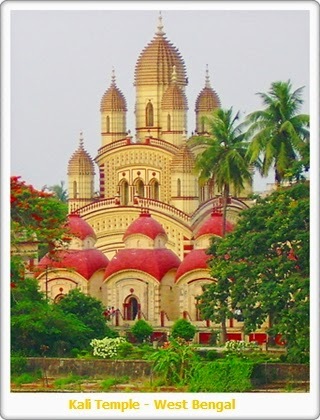 Located in the eastern region, West Bengal is the 4th most populous state of India. Bengali is the main language spoken in this state and is best known for stunning hills, great cultural heritage sites, forests and nice beaches. The state played a great role in the Indian independence movement. Dakshineswar Kali Temple, Birla Planetorium, Belur Math in Kolkata, Tipu Sultan Mosque, St Paul's Cathedral and Rabindranath Tagore Shanti Niketan in Bolpur are some of the best tourist places in the state of West Bengal. India Hill Stations Tour Packages, Hill Station Holidays, Hill Station Of India, Indian Hill Station Trip Comment Thanks for sharing good information ! Amazing blog and so informative thank you for sharing us such a great info.